We had a great afternoon at the Mayor’s office. 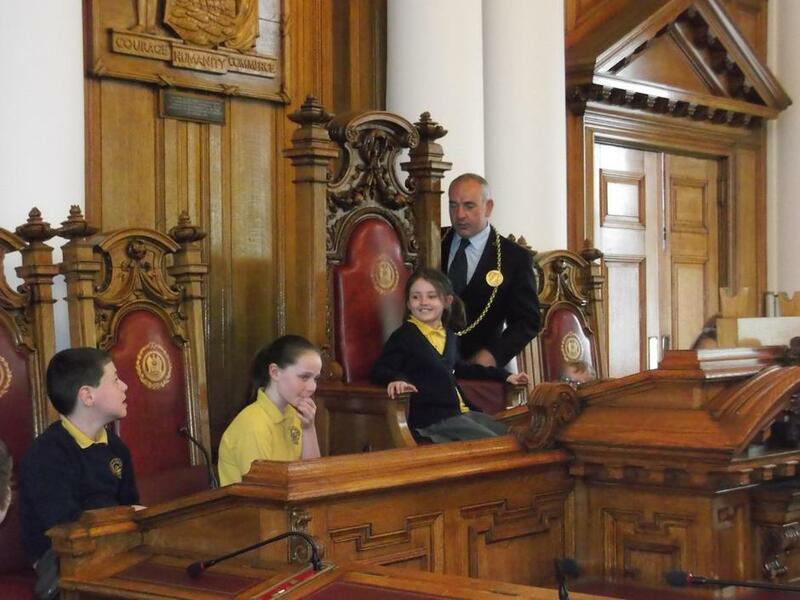 We were shown around all the rooms in the Town hall including the Mayors Chambers and Eva tried on the robe and gold chain. The town hall has beautiful Baroque architecture and was voted the nicest in the North East.